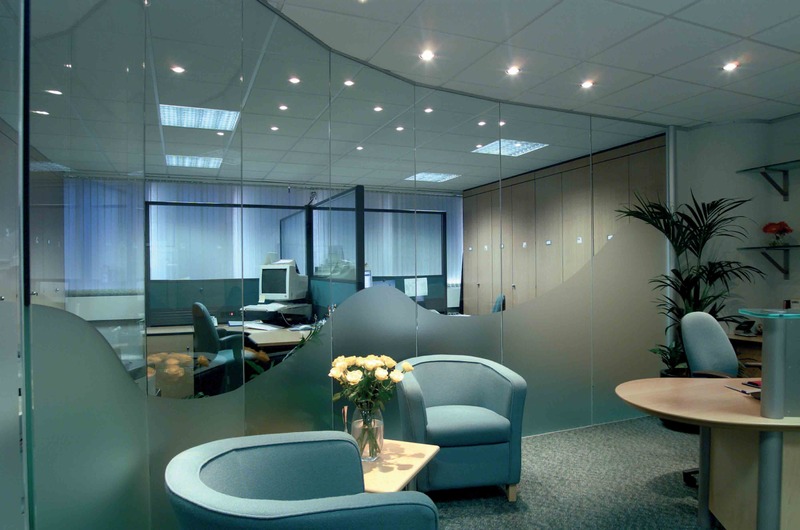 Our customers often present our design team with complex requirements, and we are happy to rise to the challenge of designing the right solution for them. 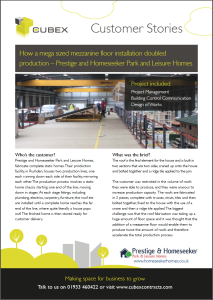 We were delighted when Prestige & Homeseeker Park and Leisure, a client we had installed a Mezzanine floor for several years previously, contacted us to discuss a new Mezzanine for their new production facility. Prestige & Homeseeker Park and Leisure in Rushden, fabricates static homes. Their production facility houses two production lines, one each running down each side of their facility, mirroring each other. The production process involves a static home chassis starting one end of the line, moving down in stages. 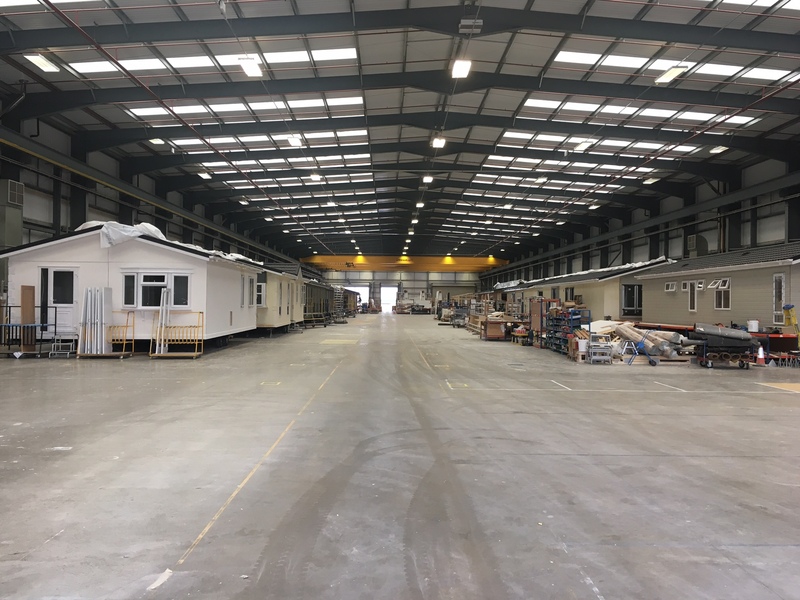 At each stage fittings, including plumbing, electrics, carpentry, furniture, the roof etc are installed until a complete home reaches the far end of the line. The finished home is then stored ready for customer delivery. 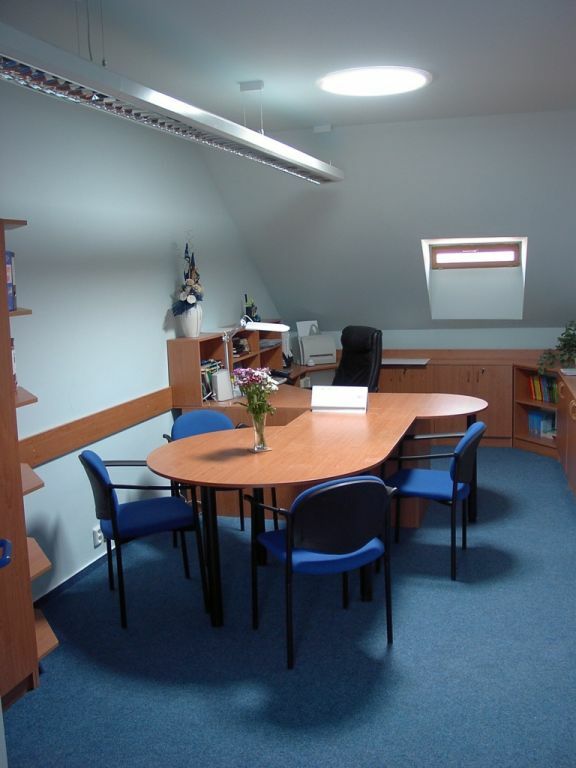 The customer was restricted, due to space, with the amount of roofs they were able to produce and they were anxious to increase production capacity. The roofs are fabricated in 2 pieces, complete with trusses, struts, tiles and then bolted together, fixed to the house with the use of a crane and then a ridge tile applied. 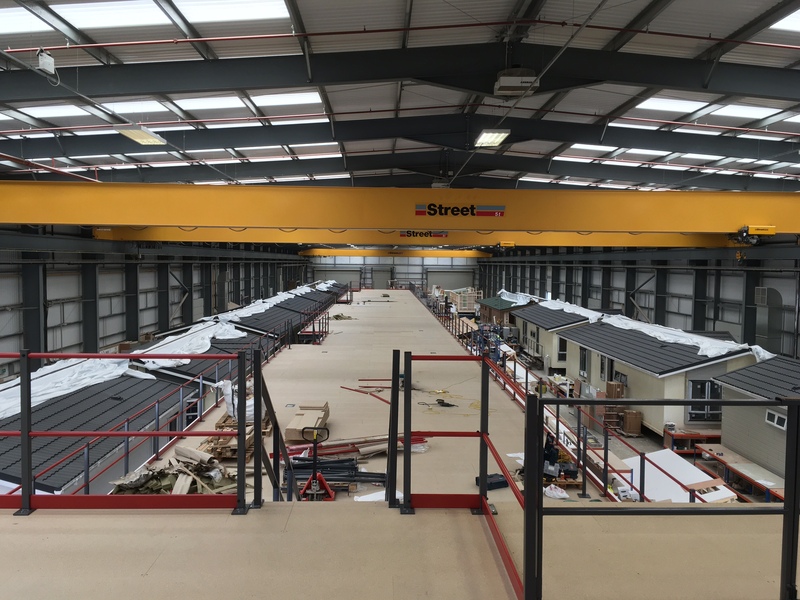 The biggest challenge was that the roof fabrication was taking up a huge amount of floor space and it was thought that the addition of a mezzanine floor would enable them to produce twice the amount of roofs and therefore accelerate the total production process. 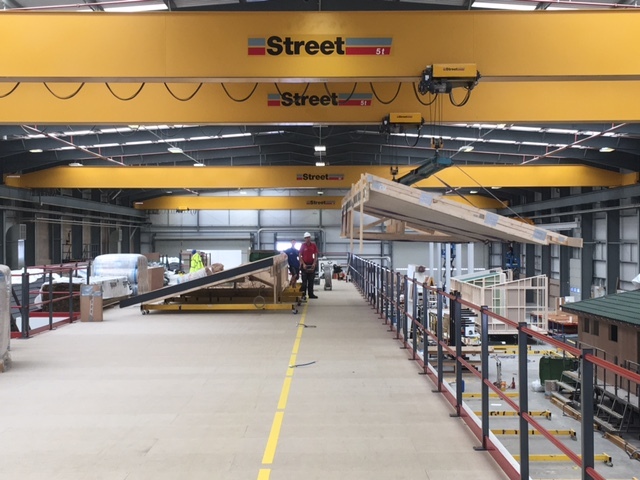 A specific clearance needed to be maintained so that the roofs could be craned over the mezzanine handrail and fixed to the homes, due to the height of the facility ceiling, the mezzanine could not be more than 3.6m high, giving a tolerance of just 10cm! The whole Mezzanine floor, fire rated suspended ceiling, fire rated bulkheads, electrics, column casements, sprinkler system, electrics and compressed air pipes needed to be installed during a two week factory holiday. 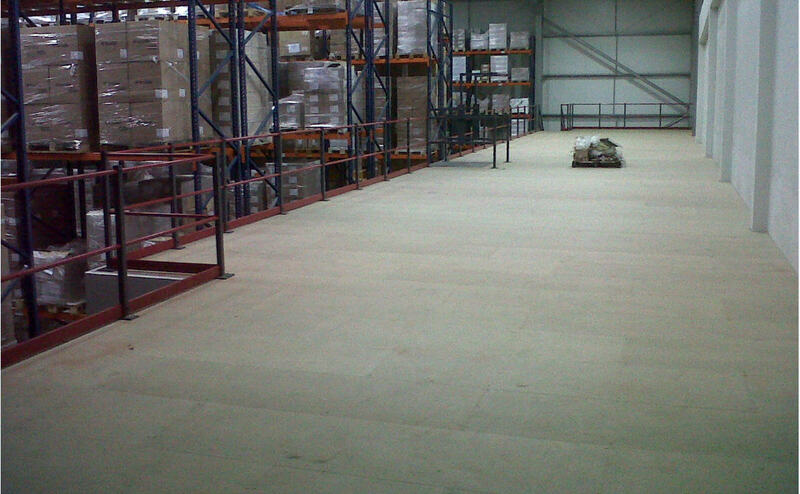 1200 square metres of additional floor space in the form a mezzanine floor! A specially designed fire rated bulkhead to allow for the Sprinkler system pipework. A 2 week program of works that meant the floor could be installed by 9 mezzanine floor installers along with 6 ceiling fitters, and the customers contractors; a further 5 sprinkler fitters, 5 electricians and 2 compressed air fitters! Before: The production facility at Prestige & Homeseeker Park and Leisure in Rushden before the industrial mezzanine was installed. 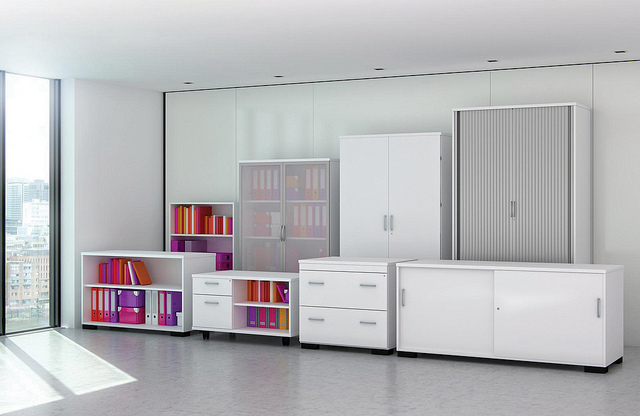 If you have a premises with unused headroom and need more space for your business to grow, Cubex Contracts can install a mezzanine floor which will transform any wasted spaces into additional storage areas, offices, or anything you need it to be. 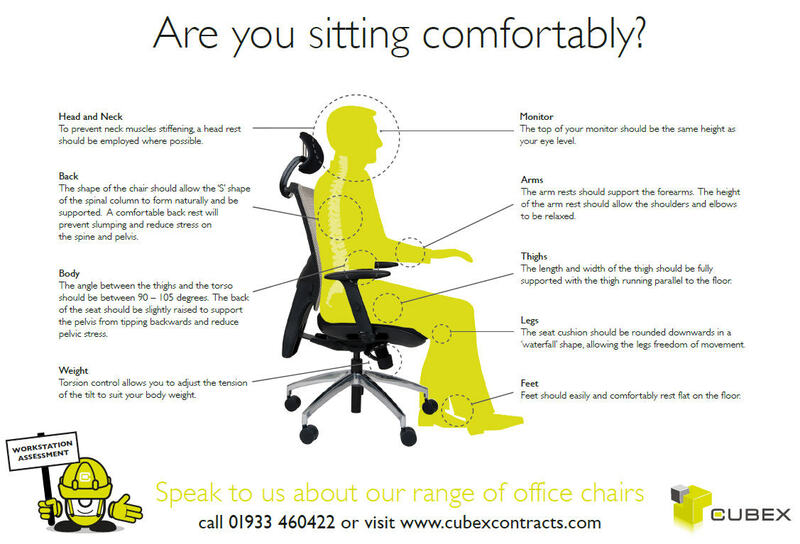 Contact us today on 01933 460422 to see how we can help you.